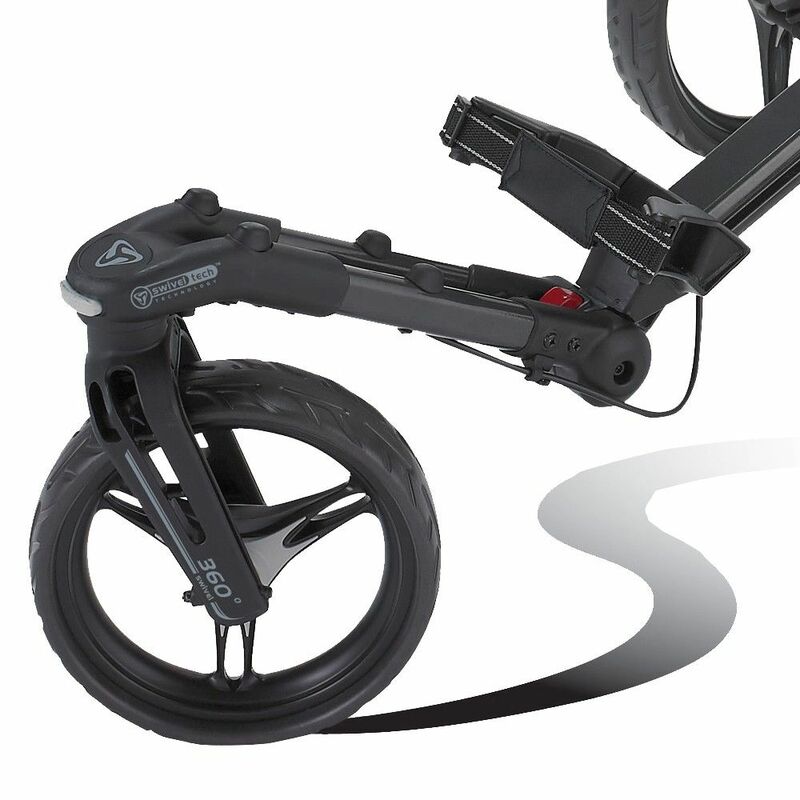 The BagBoy Tri Swivel II is a 3-wheel golf trolley that offers the very best in design, functionality and build and uses innovative Swivel Tech technology which allows the front wheel to swivel 360°. With a quick and easy 1-step handle adjustment, the trolley is suitable for golfers of all heights and has adjustable support arms to keep your golf bag secure and properly supported. There are maintenance-free, solid foam tyres delivering the ultimate in manoeuvrability, as well as holders for an umbrella, drinks, tee and ball marker. 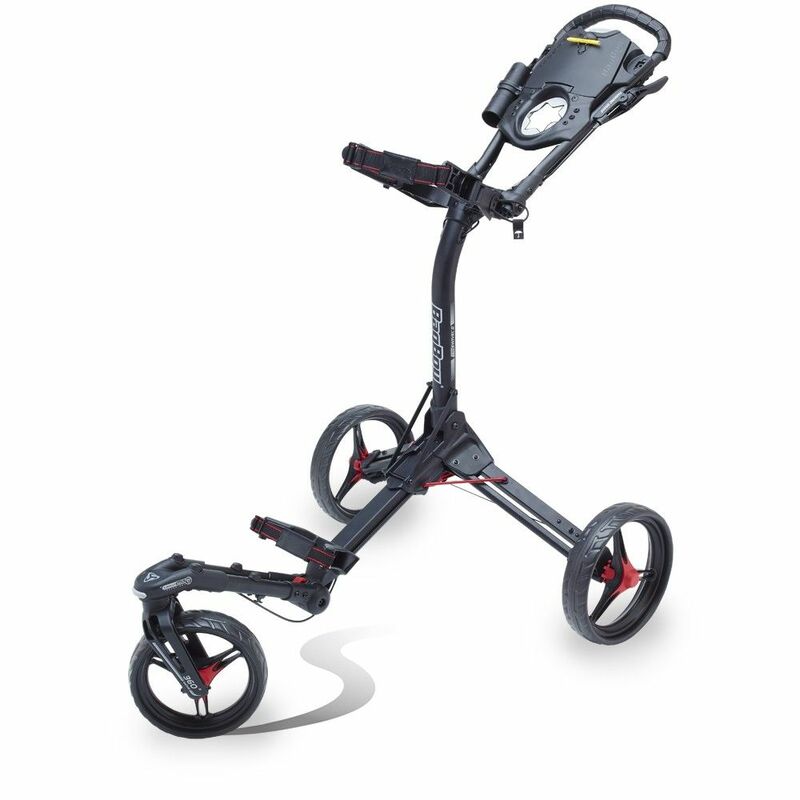 This foldable, energy-saving option with a distinct silhouette will do all the heavy lifting to let you focus on hitting shots and features a stand and cart bag friendly upper bag bracket. for submitting product information about BagBoy Tri Swivel II Golf Trolley We aim to answer all questions within 2-3 days. for submitting product information about BagBoy Tri Swivel II Golf Trolley. We aim to answer all questions within 2-3 days. If you provided your name and email address, we will email you as soon as the answer is published. 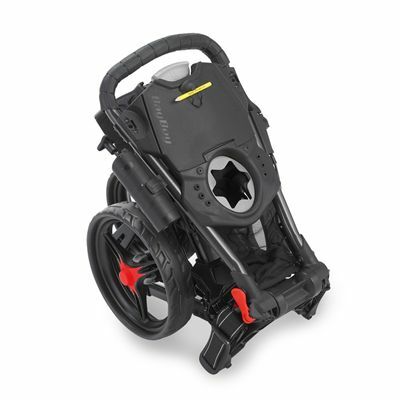 for submitting product review about BagBoy Tri Swivel II Golf Trolley.